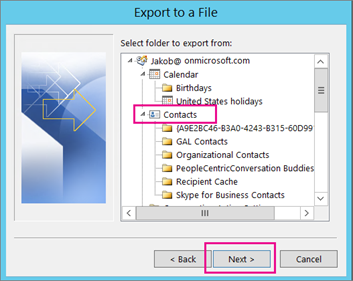 Important: Before proceeding, make sure the Contacts folder you choose is attached to your email account. This is especially important if you’re carrying out these steps from another person’s computer. 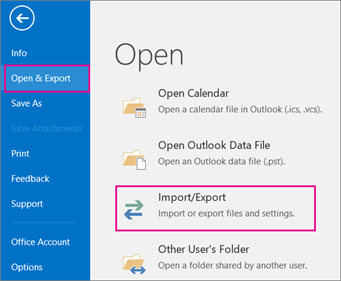 Note: Outlook doesn’t display a message when the export process is complete. Note: There might be empty cells. It’s normal.